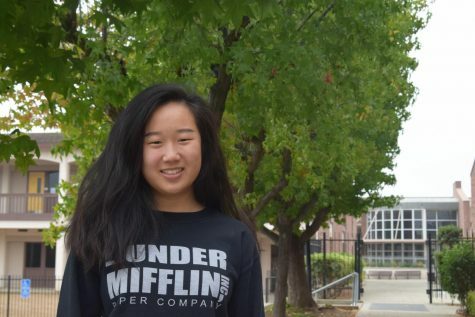 Taylor Swift superfan senior Risha Baxi was having a normal Monday morning on Oct. 29 until her friend sent her a text message ending with a string of exclamation points. Swift had reposted Baxi’s parents on her Instagram story. The previous day, her parents had headed to the polls to cast their votes for the local, state and federal elections. Later that night, Baxi took a picture of them which her dad posted to Instagram with a caption listing the reasons why he voted. Little did she know, this post would be noticed and reposted by @taylorswift for 112 million people. As the upcoming midterm elections were approaching, many candidates campaigned to encourage the general public to vote. However, in recent years, unexpected sources of political persuasion have become far more prominent than when there were more traditional methods of campaigning. Many celebrities, including Taylor Swift, have publicized their views on their social platforms in order to persuade their audience to vote for particular candidates. On Oct. 7, Taylor Swift took to Instagram to share her views and beliefs on the candidates of the U.S. midterm elections, specifically those in her home state of Tennessee. She expressed her distaste for candidate Marsha Blackburn, citing that many of the ideals and legislation Blackburn has supported have been discriminatory against certain minority groups. Her choice to voice her political opinions and break her silence when it came to political issues was met with a lot of controversy. Baxi recalls a period of time during Swift’s silence when white supremacist groups took her silence to mean that she was a neo-Nazi. Conveniently, this was around the time when Trump put his support behind her. Now that Swift has publicized her political views, Baxi believes Swift shouldn’t be given backlash for not speaking out. Some, however, remain neutral on celebrities getting political. 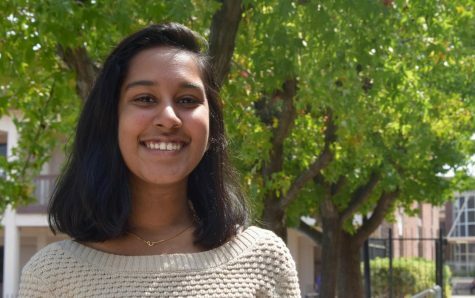 Junior Anjana Parasuram feels as though celebrities supporting certain political policies or using their platform in order to spread messages they believe in are worthy of respect, but it may not be the smartest business move on their part. Government teacher Eric Otto also mentions how voters need to take the biases and what they see on social media with a grain of salt. With the incident of Russian hackers in the 2016 election, he believes social media can have a considerable effect on elections. Another aspect of media, news television, can also heavily influence voters. News outlets such as Fox News, Cable News Network (CNN) and MSNBC report differing aspects of current events and debates, subsequently drawing audiences with differing political views. Fox News is owned by Republican media mogul Rupert Murdoch, while CNN is owned by liberal-leaning media mogul Ted Turner. Otto credits the British Broadcasting Corporation (BBC) for the most neutral views on domestic and international events. Otherwise, voting solely based on one’s political party may be harmful to the progress of this country. Down-ballot voting is the tendency for one to vote for all the candidates in their prospective political group, with little consideration of the values or qualities of each candidate. “I really think that there are things from both sides of the aisle that are worth considering and looking at,” Otto said. Whether well-received or not, celebrities using their large platforms in order to persuade their audience to vote one way or another has an impact. According to Kamari Guthrie, the director of communications for Vote.org, voter turnout both in Tennessee and nationwide spiked immensely, and Parasuram wasn’t surprised.